Two middle-aged white men wearing matching long sleeved white shirts, sunglasses, black pants and white baseball caps hang off the side of a white boat that is sailing on the water. 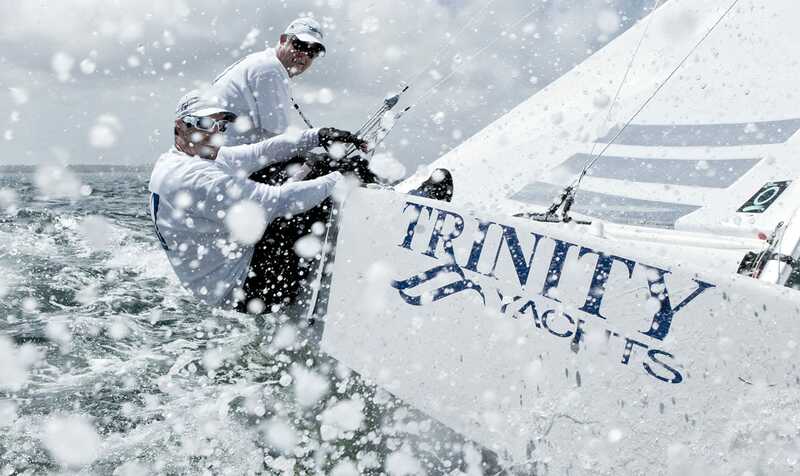 It says Trinity Yachts in blue writing on the side of the boat. There are water splashes on the camera lens.